This re-hydrating cream helps firm and smooth the skin around the eyes. 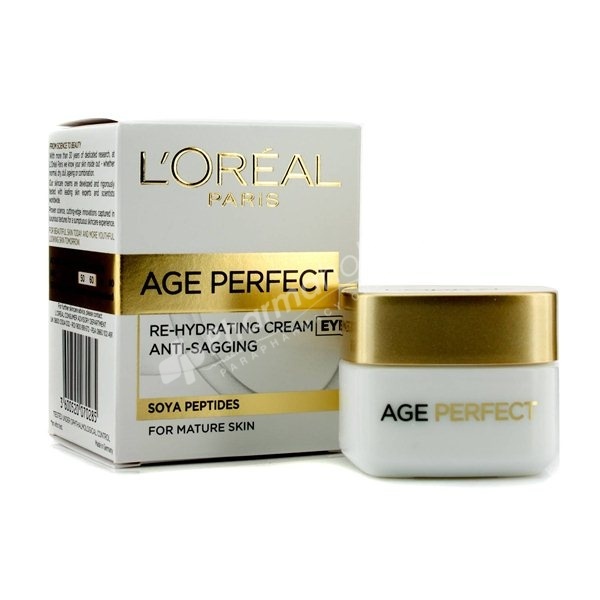 L'Oreal Paris Age Perfect Eye Cream is specially adapted for the delicate eye contour area of mature skin. Contains Dermo-peptide to help retain the moisture balance of the skin and stimulate cellular renewal from within, resulting in visibly firmer and softer skin. Apply every morning & evening, on the eyelids and eye contour area.